Addenbrooke’s Hospital (Cambridge University Hospital NHS Trust) has launched its Addenbrooke’s electric bikes scheme for meetings on Cycle to Work Day – 15th August 2018. 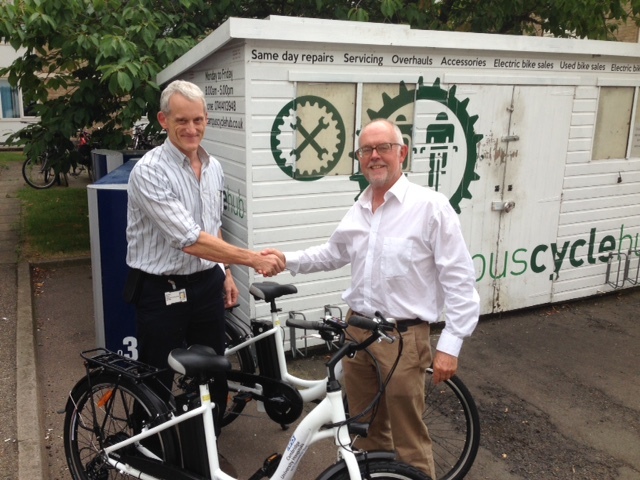 The trust will make available Cambridge Electric Transport electric bicycles, for staff travelling to local meetings where ordinarily they may have driven. Energy and sustainability manager, Richard Hales, who led the project said: ‘Currently, staff cover around 8,000 miles a year on trips either to or from Campus of less than 10 miles - costing the Trust approximately £4,000." Reduced air pollution & carbon emissions."